Inserting things into shoes to reduce pain is not uncommon. The only problem is that there are so many options currently available that it is difficult to determine what exactly will give the most relief. Shoe inserts can be divided in to three basic types; insoles, arch supports and orthotics. Understanding the differences will allow those seeking relief to make a more educated decision, leading to a better chance of obtaining pain relief. Insoles are what most people think of when they think of shoe inserts. They come in all sorts of materials from gels to foams to air pouches and usually have a small cutout in the packaging that says “Try Me” or something similar. This type of insert doesn’t change the alignment of the foot but rather just adds padding. Cases in which this may be beneficial include pain under the balls of your feet or the heel due to the breakdown of the fat pads. Fat pad break down is caused by various reasons including aging and genetics. Foot types that often show pain in this area are ones that have a very high arch. When choosing a padded insole I would suggest picking one that has an open cell cushioning system as opposed to a closed cell. This would include materials, such as foams, that upon compression allow rapid collapse of air cells. Closed cells such as gel inserts or air pouches only displace the gel or air within the material not allowing total collapse of the material. 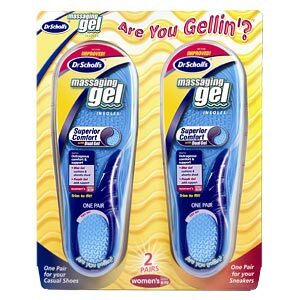 While pushing on the gel slowly with your finger might feel great, repetitively walking on a material that doesn’t respond quickly to your foot strike will not be as comforting. Arch supports are much stiffer than insoles. While they can have a padded type covering, they are more rigid. 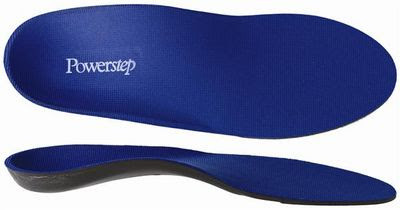 These supports come in various sizes and offer relief by pushing up the arch of the foot. Often times foot pain can be attributed to a flattening arch and supporting the arch can offload some of the ligaments and tendons that may be causing the pain. These inserts however are not custom and therefore it is not possible to get a support that fits your foot exactly. ***Obtained this SOLE video from www.zappos.com. The guy states that these offer "the most custom support possible". While they are more custom than many others, I would have to say that they don't hang a hat to doctor prescribed orthotics. While there are a lot of arch support type insoles on the market the two above, Superfeet and SOLE, are good options. They run about $40 a pair and last anywhere from 6 months to a year. Anything that supports the arch is moving in the right direction. Orthotics, more properly known as custom foot orthosis, have been defined as “an orthopedic appliance or apparatus used to support, align, prevent, or correct deformities or to improve the function of movable parts of the body”. These devices are custom made to fit your feet and can be modified to target specific pathologies and deformities. Holding the foot in proper alignment with the body has an effect on the entire limb. Orthotics are prescribed for pain in all joints associated with the lower extremity including hip, knee, ankle and big toe joints and can even reduce back pain. Orthotics also reduce strain on tendons and ligaments in the foot which can reduce inflammation and swelling, allowing the body to heal damaged tissue.  These orthotics last anywhere from 5-10 years and can be modified or refurbished as needed. They cost $300 and up depending on the area. This seems like a lot but if one decides to go with the over the counter non-custom arch support, at $40 every 6 months, you will be paying around $400 for five years of comfort and support. Orthotic coverage by insurance is plan specific. The type of device right for you is dependent on the severity of your problem, your activity level, shoe type, foot type, body type and many other factors. By consulting with your podiatrist you can find the right solution. It's tough when you have a passion for hiking and climbing and have foot problems. orthotics calgary can take care most of those problems though. Good for you and keep doing what you're doing! Thanks for sharing this useful information with us because it is really very difficult for people to choose the right insoles, orthotics and arch supports for them. The points you’ve stated here are great. Very good piece of information. I appreciate your time & effort to make this happen. Keep this up! willing to read more updates in the future.